Corazon Tierra is an interdisciplinary dance artist, poet, writer, dance educator, and Teaching Artist. She is the creator of the Beloved BodySoul System™, methods and set of principles that help women, children and people from all walks of life to cultivate a loving relationship with their bodies through dance, somatics, and creative processes. Tierra has spent the past two decades creating experiences that blur the boundaries between art and life, and between personal transformation and community healing. Moving beyond traditional notions of dance, Tierra offers her creations as an invitation to be present in the body, in the here and now, free of shame and judgment. A key aspect in her interdisciplinary work is the exploration of kinesthetic empathy as a means to harmonize the Self with others, community and the planet. Tierra is best known for harmoniously fusing her poetry and dance in performances that challenge beauty perceptions and reveal the connection of the female body with the natural world. Many of her dance works have been inspired in her healing process from anorexia and in goddess archetypes, such as CuerpOdiosa/Goddess/dam Body; Nine Faces of Oyá/Faces of the Earth; Unraveling Absence and The Vessel Goddess: Origins. Her interdisciplinary dance work reaches women and families in spaces out of the theater: in community centers, churches, schools, bakeries, galleries, gardens, patios, and cafes. Corazon has presented her work in numerous venues in NYC, such as El Barrio Artspace, Julia de Burgos Performance and Arts Center, Bronx Music Heritage Center, Atlantic Gallery, Nuyorican Poets Café; Boricua College; and Manhattan Community College. In addition, Corazon has shared her work in the US and internationally: in women festivals in Spain, in townships in South Africa, under the sky in the African Karoo desert, and at the Instituto de Cultura Puertorriqueña in Puerto Rico. In the last years Corazon has developed various explorative dance forms that emphasize community engagement and collaborative choreography. The ARTmonizing Dances™ takes place inside a visual art exhibit and offers viewers the opportunity to experience the paintings in the gallery in an embodied way. DanzaYo™ is a community dance practice that guides participants in the creation and sharing of an original group dance in a course of a few hours. 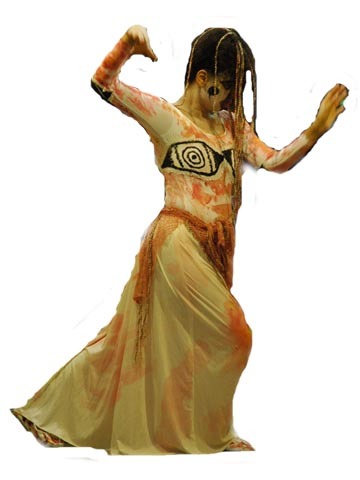 Tierra is the official dancer of the Mary Magdalene Celebration, a multidisciplinary project created by artist Tanya Torres and musician Raquel Rivera that fuses creative spirituality. As part of this collaborative project, she has created a trilogy of dance meditations inspired in Mary Magdalene: Promise; Sacred Heart Sacred Dance; and Devotion. o express themselves through dance. Corazon is the creator of EduDanza™, a somatic movement dance education approach for children of all ages, and of DanzaSpa ™, a movement practice that combines holistic dance, somatics and creative movement. Both approaches are part of her Beloved BodySoul System™. Corazon’s fiction writing is included in two anthologies: Ana y su anorexia: Más allá de no comer (Editorial La Biblioteca 2005) and Breaking Ground: Anthology of Puerto Rican Women Writers 1980-2010 (Editorial Campana 2011). She is the author of Cuerpografías: Poesía para amar tu cuerpo, a poetry and prose book in Spanish that reveals her journey of healing from anorexia. Corazon holds a Bachelor of Arts in Liberal Arts from Hofstra University and completed a Master of Arts in Dance and Somatic Movement Education at the University of Central Lancashire (in its New York City Program at Moving Body Resources). Corazon has also studied numerous dance forms, choreographic processes and somatic methods, such as contemporary dance, Flamenco, Afro-Puerto Rican Bomba, Laban Movement Analysis, and Bartenieff Fundamentals, which influence her work. Corazon is the co-founder, along with artist Maria Mar, of ShamansDance Publishing and Productions, a company dedicated to creating art dedicated that heals and transforms the Self and the community. 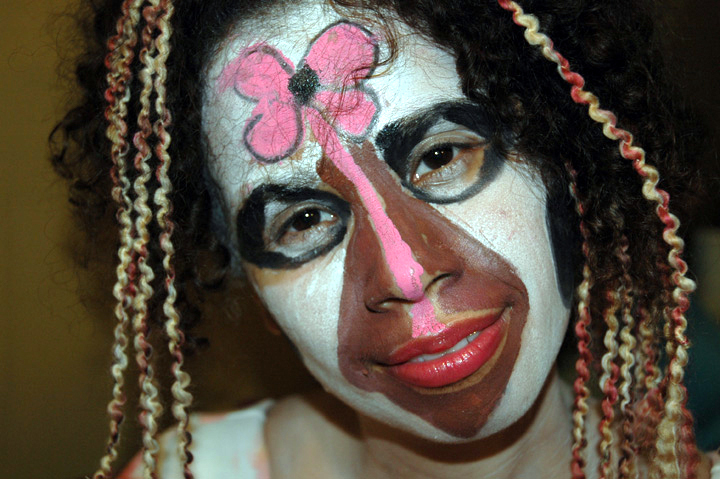 She is a Master Teaching Artist at Leap and Teaching Artist at DreamYard.